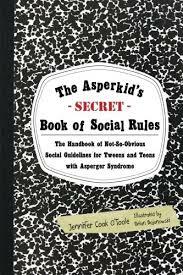 Social skills is one of the core features of ASD. It can be difficult to understand how differently individuals with ASD perceive the social world, but these books can help. The also address teaching social skills to individuals with autism. 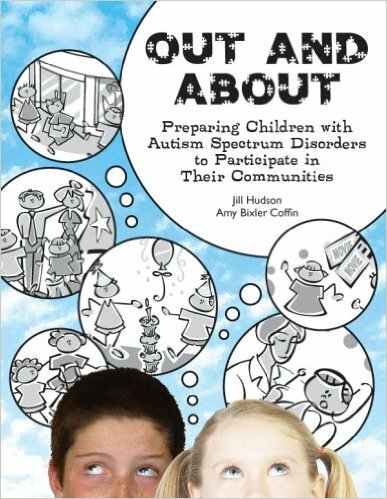 This book focuses on everyday events and how to enable and support individuals on the autism spectrum to be active participants in the world around them. Created as a Blueprint to be filled in according the child and the event being planned, the framework lists 10 areas that have been identified in best practice as effective types of support for children with an autism spectrum disorder. Hundreds of easy-to-read bullet points provide tips that readers can put into action immediately. First they cleverly tackle home life, from breakfast to bedtime, and then they take readers on a trip through the community, offering essential do’s and don’ts for going to restaurants, church, the doctor’s office, the grocery store, family gatherings, and more! 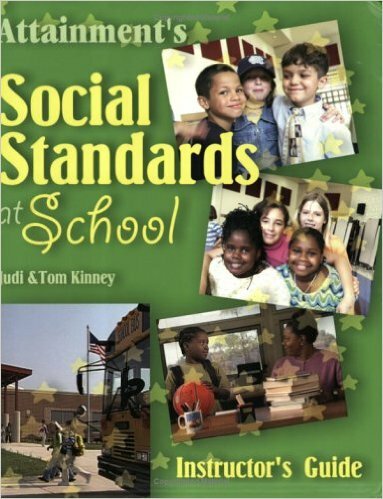 This book focuses on 53 social skills, that take place during a typical school day. Each skill provides teacher guidelines and a student self-monitoring page. Reproducible book spiralbound, with printable PDFs. 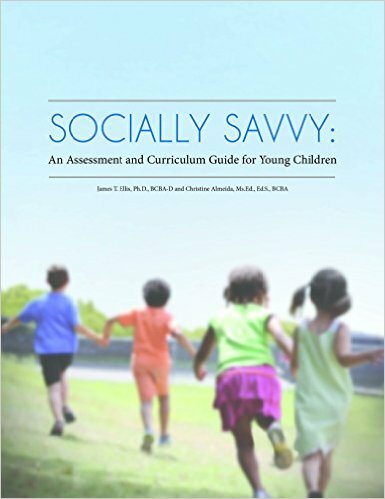 Socially Savvy helps educators and parents break down broad areas of social functioning into concrete skills. of the resource room at no cost. In this newest comic, children become familiar with several ways to squash the powers of two, related Unthinkable characters: One-Sided Sid, who gets people to talk only about themselves, and his sidekick sister Un-Wonderer, who likes to keep people from thinking about others. This clever duo tries to get students to do or say things that show they’re only thinking about themselves and not others. Students learn helpful strategies to regulate their own behaviors when Sid and his sister invade their thinking. The framework presented in this book enables readers to learn to create their own social rules and, as a result, live freer, more successful lives. 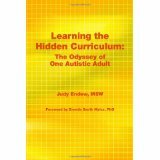 The fact that the book is written by an autistic person who has learned by trial and error makes it all the more valuable. 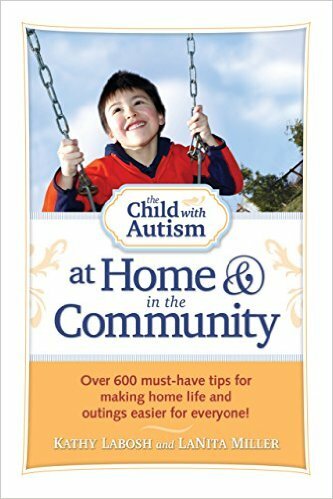 This book provides fun and practical ideas to help motivate and extend communication and play skills in children with autism with the support of pictures. 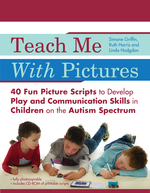 The book describes how picture scripts can help facilitate play and learning and provides 40 photocopiable scripts across a range of different activities such as drawing, cooking, using construction toys, imaginative play, arts and crafts, and social games. 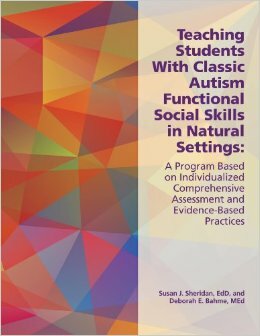 Teaching Students with Classic Autism Functional Social Skills: A Program Based on Individualized Comprehensive Assessment & Evidence Based Practices by Susan J. Sheridan. 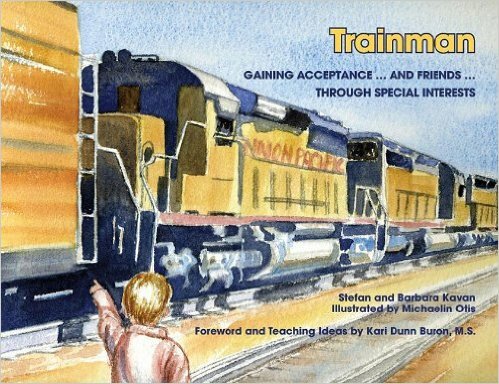 This highly practical book guides teachers and other practitioners in developing and implementing comprehensive social skills programs for individuals with classic autism. This program was developed specifically for students with classic features of autism, who tend to learn best by participating in activities they find interesting, engaging, and part of their daily lives. As a result, the social skills are embedded in motivating lessons in real-life social situations, involving such things as learning to do something nice for others, working on a classroom project, or waiting in a cafeteria line. To make this well-crafted functional social skills curriculum even more relevant, it includes a comprehensive, yet easy-to-use assessment tool tied to IEP development using evidence-based practices. 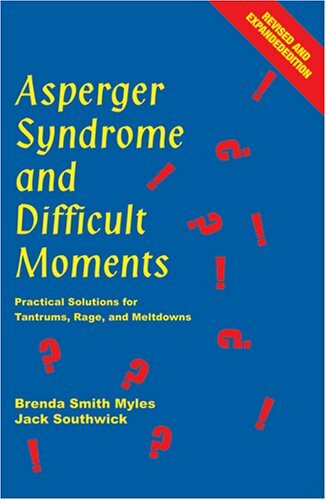 Social Pragmatic Success for Asperger Syndrome by Timothy P. Kowalski. Not getting the results you want? Overwhelmed? Not sure where to begin? Confused? This book is an easy, practical tool designed to assess and document strengths and weaknesses in social-pragmatic communication across settings. The author provides a comprehensive tutorial in establishing treatment goals and techniques that address holistic, functional improvement is social-pragmatic communication skills. This tool is particularly useful in the school setting when meeting certain eligibility requirements for the students is a challenge, this tool can serve as the critical element needed to navigate the eligibility process. The digital world offers a wonderful way to communicate and socialize with others. Yet, it is also rife with the dangers of being victimized emotionally, physically, and financially. Trusting individuals with autism spectrum disorders, who are oftentimes socially isolated, are especially vulnerable to online predators. Finally, we have a resource to help prepare them for the minefields they may encounter on the Internet. Through Dr. Baker’s invaluable advice, kids will learn what to look out for, whom to avoid, and how to protect themselves when they’re communicating online. 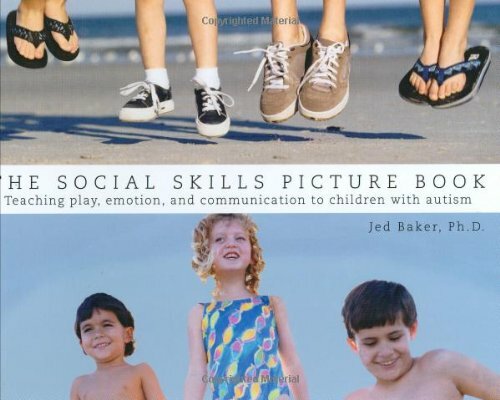 The Social Skills Picture Book Teaching Play, Emotion, and Communication to Children with Autism by Jed Baker. This book uses photographs of students engaging in a variety of real-life social situations. The realistic format plays to the visual strengths of children with ASD to teach appropriate social behaviors. Color photographs illustrate the “right way” and “wrong way” to approach each situation and the positive/negative consequences of each. A facilitator (parent, teacher, etc.) is initially needed to explain each situation, and ask questions such as “What is happening in this picture?” Children role-play skills until confident enough to practice them in real-life interactions. 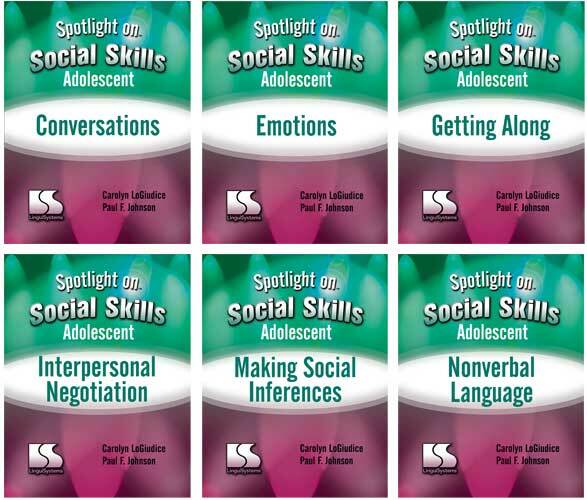 Spotlight on Social Skills Adolescent by Carol LoGuidice. 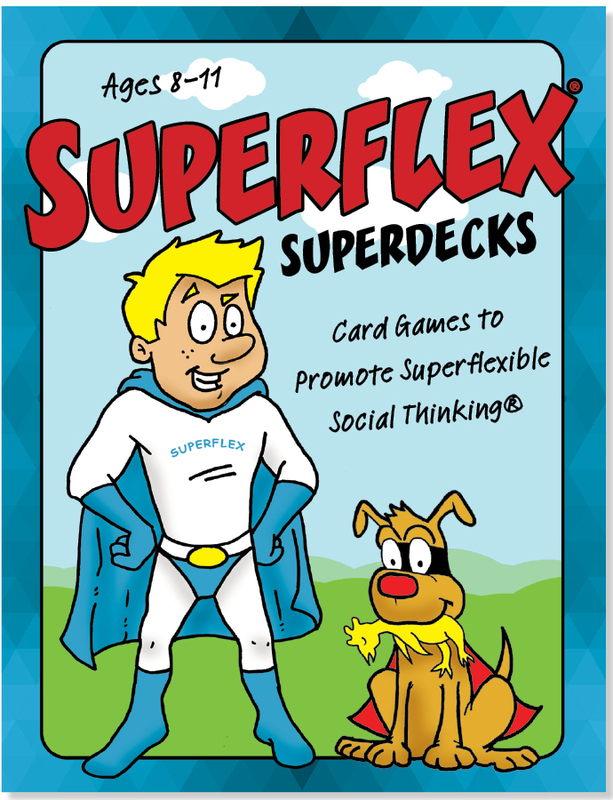 Increase success in social communication with instruction that systematically targets specific skills and uses a variety of learning methods.